Zimbabwe can win one of five UN Security Council seats up for election in the next two years, President Emmerson Mnangagwa's spokesman has said, although analysts doubted the southern African country would win approval by two-thirds of the world body's General Assembly members to secure a term. The General Assembly has just elected Germany, Belgium, South Africa, the Dominican Republic and Indonesia for a two-year term in the Security Council starting on January 1, 2019. This comes as businessman Frank Buyanga has called on the UN - and greater western world - to give Zimbabwe a chance, and due recognition in global politics, as it was on a solid path to reform. 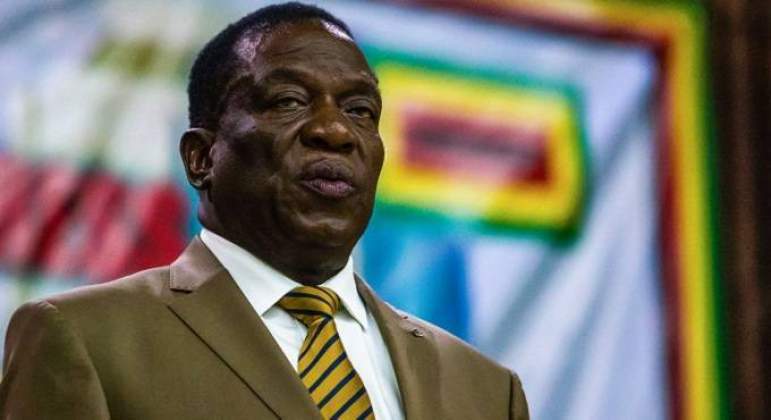 The private initiative not only comes as Mnangagwa's government has vowed to vigorously pursue re-engagement efforts, but is pretty much in line with calls for the west to loosen its trade embargo on the Harare regime. "...Africans need your support on many issues, including being able to voice their views on matters of security, those deliberated by the UN Security Council (UNSC)," Buyanga said in his letter to UN secretary-general Antonio Guterres, adding the key organ "has never been more important to the continent, given the numerous interventions in conflicts around the region and undemocratic selection of representatives on the council, and where ‘smaller nations' are left out". "The African Union (AU) is leaving the selection of who will represent Africa... to be determined by foreigners. This, Mr Guterres, opens a gap for manipulation and only the ‘big' countries will forever be selected to sit on this powerful council ...it is from this background that... Zimbabwe think(s) it is time our country be given a chance to be part of the UNSC," he said. "There is no threat to peace and security in Zimbabwe. Secretary-general, with your help and guidance we hope and trust that Zimbabwe will get the recognition it deserves. We recommend that you support our recommendation that ‘smaller' African countries... have a seat on the UNSC," Buyanga said, adding "the recommendation must not only hold ground, but also be debated at the next general assembly (GA)". While the maverick businessman has welcomed the selection of South Africa, Belgium, Dominican Republic, Germany and Indonesia on the global organ, he says Africa must follow up on the Ezulwini Consensus - a 2005 pact and - whereby two permanent seats with veto powers were to be reserved for the continent. Presidential spokesman George Charamba told the Daily News that Zimbabwe needs the backing of the continent to earn the Security Council seat. "The UN is an intergovernmental institution. He is a citizen expressing a wish for his own government. It has to be taken to an inter-governmental event," Charamba said. "There are due processes that are followed." Charamba said the proposal was feasible given that Zimbabwe has previously held a seat in the UN Security Council, when it voted in 1990 to authorize the United States and its allies to expel Iraq from Kuwait by force if President Saddam Hussein, now late, did not withdraw his forces. Charamba said Zimbabwe was part of the Security Council members who came up with a plan to observe "a pause of good will" until a January 15 deadline date by taking no further actions against Iraq and concentrating on diplomatic efforts to promote a peaceful settlement. Zimbabwe was part of the rotating members of the Security Council who supported the resolution, and the action was a success, he said. "We have been in the UN Security Council when Saddam was kicked out of Kuwait, the first time," Charamba told the Daily News. "We have been there. Its not a novel idea, Africa will have to have permanent seats. We have to proffer ourselves, backed by the continent to be on the UN Security Council. We should have the attitude to handle it on rotational basis. At some point it must become an entitlement. We are a paid up member of the UN. You can vie for any space, for any opening. Its a right that comes with membership. He is just wishing the best for his country," Charamba said of the maverick businessman, who is also a director of the continental lobby Pan African Business Forum. Set up in 1946 after the World War II, the UNSC comprises 15 members, five of them - Britain, France, China, the United States and Russia - are permanent, while 10 are non-permanent members that serve for two years. But critics, including Buyanga, say the UNSC represents an international, if not outdated, order that does not represent and is adaptive to the 21st century. The UN system was established at the San Francisco conference shortly before the end of World War II. Political analyst Trevor Maisiri said the call for a permanent seat for Africa in the Security Council will find a lot of traction, not only from developing countries, but from critical peace and security institutions, civil society and some in the industrialised nations as well. "If you look at the UN Peace and Security Council agenda of late; it has heavily been skewed in dealing with matters on the African continent," Maisiri said. "Given the global move towards equitable sovereignty and the dismantling of historical imbalances and inequalities; the call for an African seat on the Security Council is justified." Stephen Chan, a professor of world politics at the London School of Oriental and African Studies said originally, the plan was for an even stronger Security Council, but strenuous lobbying by middle powers such as Australia led to a small number of powers to be invested in the General Assembly. "Even so, the Security Council is the key force in the UN. Five permanent members sit on it and a rotating number of other members come and go, but only the big five have veto powers. For many years now, hugely growing powers like India and, from Africa, Nigeria and South Africa have sought permanent seats - to no effect. What does Zimbabwe have that is more than Nigeria or South Africa? This is simply an act of wishful thinking without any realisation of the very low place Zimbabwe now holds in international relations," Chan told the Daily News. Piers Pigou, senior consultant at the International Crisis Group,told the Daily News its a long shot for Zimbabwe to obtain a seat on the UN Security Council. "This reflects fundamental misunderstanding of what's possible in current context of UN processes and where the UN reform process is" Pigou said. Dewa Mavhinga, a southern African director at the Human Rights Watch said Buyanga's UN petition over Security Council appears to be a posturing act meant to present him as a "notable cheerleader for the Zimbabwe government but with no prospects of securing the seat for Zimbabwe." "It seems Buyanga is using his petition to seek attention from the Mnangagwa government and the general public," Mavhinga said. A peace and security analyst and doctoral researcher, Josphat Munetsi, said the common theme among proposals for reform of the UN Security Council in recent years was a call for an increase in Security Council membership. "The corollary usually is that adding more members to the council will make it more representative, but this does not equate to effectiveness," Munetsi said. "By increasing membership the group would be too large to conduct serious negotiations and still too small to represent UN membership as a whole." He said it was incontrovertible that self-interest, not democracy, motivates the membership claims, and warned that a council loaded with more permanent members would suffer from gridlock and political sclerosis. The current "chances for Security Council reform are zero," he said, adding that member states could only exert moral pressure to reform the old institutions in a new world. "Essentially, the idea of Security Council reform is nice in principle, but in practice, it does not work," he said.